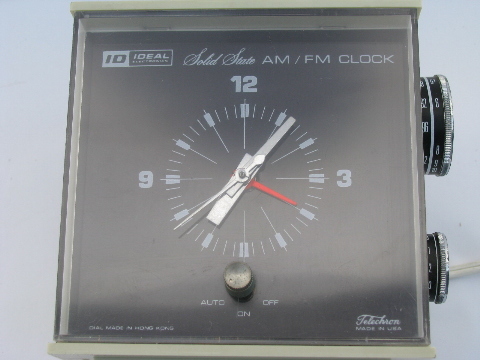 Vintage late 1960s or 1970s, Ideal / Telechron clock radio with and retro mod cube design. This is an original period piece, not a newer reproduction. 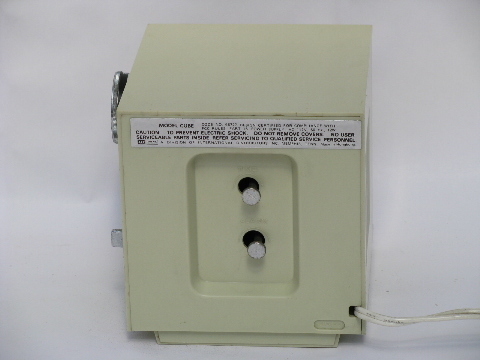 It is marked "Ideal Solid State AM / FM Clock - Made in Hong Kong on the face. 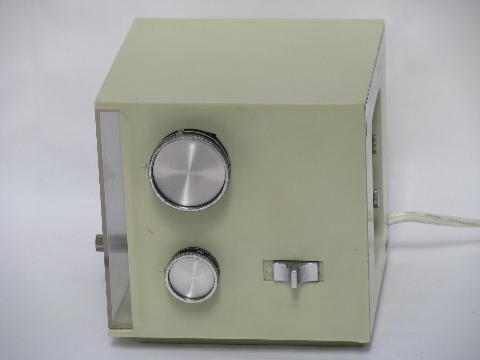 A solid state radio is the same as a transistor radio, i.e. not a vacuum tube radio set. 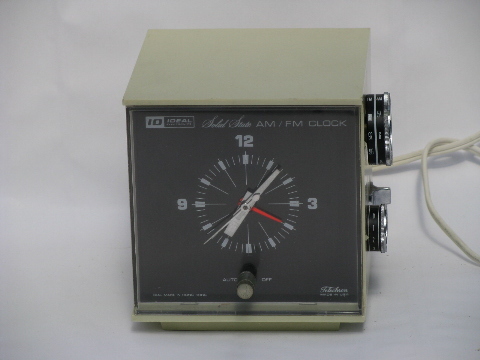 This mod clock radio measures as a 5" cube (5" high, 5" wide and 5" deep). The clock runs great and we were picking up FM radio stations, but couldn&apos;t get any AM stations. This is probably an antenna issue, we&apos;re in a hilly rural area and have a hard time picking up radio stations. This retro clock radio is in nice vintage condition, but does have some light wear and scratches.